As we age, our ability to perform daily tasks of living often decreases. In many cases, one of the first signs that something is wrong—and that help may be needed—is diminished personal hygiene. The responsibility for noticing that a loved one can no longer care for his or herself without support often falls on the family. If you notice that your loved one is failing at usual tasks like home upkeep, hygiene, and other aspects of day-to-day life, it might be time to get help. Getting help doesn’t have to mean a nursing home or assisted living facility. It’s often the case that the best kind of help is provided right in the home. Senior LIFE is a nursing home alternative and a Community Healthchoices alternative option that provides medical care and other essential health support necessary to remain independent and in the home. Senior hygiene can be one of the more difficult topics to discuss with a loved one, and it’s important to approach the topic respectfully. That’s why we’ve identified some signs to watch for in your loved one and how you can find help. When it comes to nursing home alternatives, Senior LIFE provides personalized care for your loved one to help him or her remain in the home. It’s often difficult to notice the beginnings of poor senior hygiene, but once you do, it’s important to help your loved one return to good health and well-being. Body odor, unkempt and greasy hair, long fingernails, and dirty clothing are all signs of poor senior hygiene. If these signs are occuring, it’s time to make an assessment. Recognizing that bathing daily, good dental care, and proper grooming are parts of quality senior hygiene is the first step. If your loved one is incapable of performing these tasks on his or her own, it’s time to get help. First, begin a respectful and honest conversation to address your concerns with a loved one. 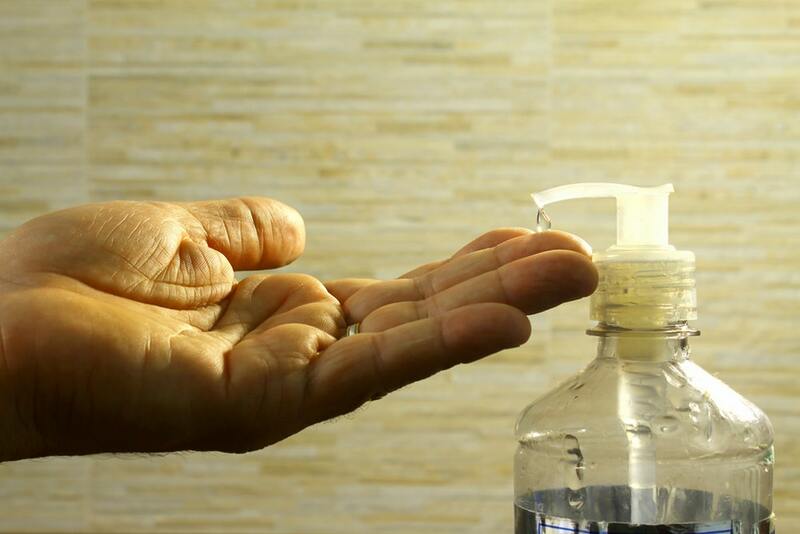 Sometimes, elderly adults are too afraid or nervous to perform the most basic hygiene tasks on their own. It can cause great psychological stress to have to step over the edge of a bathtub to bathe, or to walk up and down stairs to do laundry. Put yourself in the shoes of your loved one, and ask yourself how you’d like the senior hygiene problem conversation to go. Approach the discussion from a point of love and compassion—and you won’t go wrong. Then, discuss your options with a healthcare expert. If you or a loved one are currently covered under Community HealthChoices and aren’t satisfied with the care you’re receiving, speak with a Senior LIFE associate to determine your options. Working with your loved one to ensure optimal health includes quality senior hygiene. If you’re noticing that your aging parent or loved one is facing mental barriers to personal hygiene, help him or her by removing the obstacles in the way. Helping with the weekly laundry so your loved one doesn’t have to take the stairs can be a huge boost to his or her quality of life. Installing handrails and non-slip bath mats in the bathroom can alleviate stress around showers and baths by preventing falls. And when you’re enrolled with Senior LIFE, if you need aides like shower grab bars installed, they are included at no cost. Maintaining dental hygiene is also important. An aging adult enrolled as a Senior LIFE member can work with the team to receive dental care and check dentures. You can help your loved one with hygiene by having bathroom supplies close at hand. Gifting a loved one an electric toothbrush can be a practical and thoughtful gift to ensure proper dental care for seniors. A good-smelling bundle of soaps and body wash can encourage body cleanliness, and a new hairbrush can help keep tangles away. At Senior LIFE, our work is centered around our members. The LIFE Program is designed to keep your loved one at home for as long as possible, and to help bring more joy, security, and freedom. As a member ofSenior LIFE, your aging loved one receives comprehensive care, including a variety of services. Transportation, medication management, and in-home personal care services to help hygiene get back on track are all available to Senior LIFE members. Our member aides provide personal care and grooming in the homes and at the LIFE Health and Wellness Center. There are plenty of other benefits to the Senior LIFE program that you might not know about. When it comes to your loved one’s health, knowing where to get the best care is vital to ensuring his or her continued ability to live at home. Frustrated with your current managed care plan and unsure of what to do next? Senior LIFE is an alternative that will provide your loved one with the care needed to remain independent and healthy. Find the location nearest to you.